My heart is heavy for our cities, not just mine ,which is the City of Detroit . Right now I say Lord we need forgiveness , deliverance and healing from the violence, unrighteousness and idolatry. We pray that a spirit of Nehemiah will arise to rebuild the cities with love, peace, righteousness, and preserverance to glorify God. We pray that a spirit of repentance will cover the city. Name your city and we can pray together. I challenge each of you to prayerwalk your block or a school and business in your neighborbood. Pray for household salvation, restoration, peace and reconciliation. Call the names of the schools and buisnesses. Let’s report on our united efforts , although we may be in different cities around the nation and world. Let’s testify as to how prayer has changed your city, neighborhood or school. 2. Pray for God’s spirit of prayer and supplication to be poured out in the city. 3. Pray for those in authority in your city. 4.Ask God to bless those who base business practice in righteousness. 5. Pray that God would frustrate plans that escalate injustice, violence, unrighteouness and shake the dominion of mammon and greed. 7. Pray for revival in your city. 5 AM Praying with My Girlfriends’ Business. Chief Girlfriend and visionary Jillian Blackwell, and the women on the prayer call, for the month of August are praying for a girlfriend’s business or ministry each day. Since January 2011,daily women consistently join the 5 AM prayer call every morning all over the nation,- New York, New Jersey, North Carolina, Atlanta, Detroit, Houston, etc to seek the Lord ,to pray for others, themselves and for their girlfriends’ business. Many believers are business owners or have key positions in business. Christians in the workplace and business owners should have a practical and spiritual influence in the community. In the bible Lydia was a business woman who was a seller of purple dye and an influential women. While Lydia, who worshipped the one God of the Jews, and a group of others were praying by the riverside, they encountered Paul and Silas. Paul related to them the Gospel. Lydia opened her ears and heart and became the first Christian convert . She was baptized and then her household. She became a Christian and a marketplace influencer. The Bible states that she urged Paul to abide in her home and opened her home to Christian missionaries. She opened her doors when Paul and Silas came out of prison for healing a demented girl to her right mind. Acts 16:16 While serving Christians it seems that Lydia continued to carry on her business. 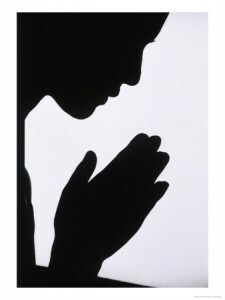 Believers should pray for entrepreneurs. Look at how businesses affect our economy and the workplace. We want God to move powerfully in the lives of business owners who operate in integrity and excellence. For example, on August 9, 2011, (yesterday) we prayed for Missionary/Evangelist Minetta Hare -a global focused woman, who empowers women in prayer, training, coaching, global missions and in global entrepreneurship. Her ministry is Faith At Work Ministries and one of her businesses is the Hare Group International. Minetta is the founder and visionary of Lydia Circle for Christian Business and Professional Women, Faith At Work Ministries and Men of Valor. She is a global woman that has a hands on ministry for serving woman and men in time of need and as they rise in their ministry or business with love, prayer, wisdom, frankness, compassion and the gift of hospitality. She does missions and business globally and has served in South Africa ( over 12 mission trips), Ghana, Israel, Jamaica and etc. Matthew 28:18-20, Isaiah 61:1-3, 2 Timothy 2:2 describe what we believe God has called us to do –make disciples of all nations by the power and anointing of the Holy Spirit. Preaching and teaching the Gospel of Jesus Christ through many means – economic empowerment and business development, trade missions, entrepreneurial training, medical outreaches, building schools and medical facilities, or one-on-one sharing the gospel. The greatest mission field today is the marketplace. Jesus recruited His disciples, who had occupations and professions as fishermen and tax collector from the marketplace. This probably sounds like more than any one ministry can do- and it is! Because of this, God has brought together a team of dedicated men and women to work with us to carry out this vision which is really HIS VISION. $1,000,000 CAPITAL CAMPAIGN FOR MEDICAL CLINIC IN GHANA, SOUTH AFRICA AND BOTSWANA. Hare Group International (HGI) is a leader in international trade and business services providing exclusive export management, marketing and sales, logistics coordination, warehousing, distribution and after-sales customer service. Whether our clients are looking to quickly penetrate international markets or build brand equity, HGI provides the highest quality customer service with its sound reputation of quality, strength, and professionalism. Pending Contracts and Deals signed and implementation of agreement going forth. Business Plans and Proposal are clear and concise with potential funders and investors. Integrity with governmental officials in Ghana, South Africa, Botswana and Jamaica. $1,000,000 Working Capital for new projects.